Michigan Watch: Dangerous Bail Reform Package Sponsored by Rep. Kim LaSata (R-79) Introduced. Michigan Bail Reform has finally arrived…a 9-Bill package that that rewards those criminally charged and dismisses victims. Michigan Representative David LeGrand (D-75), after over a year of talk, has finally introduced a bail reform package in Michigan. The 9-Bill package, filed October 17, 2018, looks to overhaul the bail system with a laundry list of unaccountable new laws that dismiss victims, give dads in arrears a free pass on child support, and reward those criminally charged with “get out of jail free” passes. 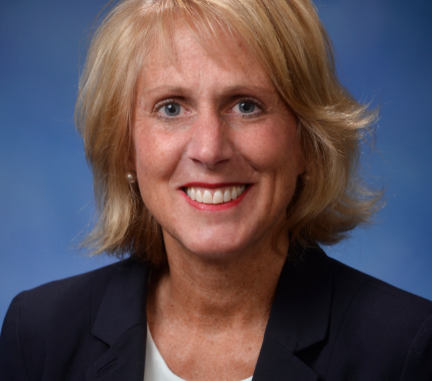 Michigan Representative Kim LaSata (R-79) is co-sponsoring the Bill Package that aims to upend the accountable bail system in Michigan, replacing it with an unproven and reckless system that rewards accused criminals with free passes – and burdens the taxpayer to pick up the tab. For those not following it, bail reform is a key issue for many socialist candidates in the November election. Bail reform is all about questioning why judges decide to impose bail in certain cases by whipping up class-warfare rhetoric and making Michigan’s bail system a question of whether you support Tiny Tim or Ebenezer Scrooge. First, the new system dramatically reduces the discretion of Michigan judges by taking away the ability to impose bail when necessary to guarantee the appearance of the defendant to protect the public. Prosecutors will be required to do a mini-trial every time they object to one of LaGrand’s “get out of jail free” passes. The burden on the system will be overwhelming to prosecutors, judges and defense lawyers, and we question how Michigan will pay for it. The fact is…judges already have wide judicial discretion, are certainly more qualified than a “black box” to make release decisions, and have been elected by the people. Let’s let judges be judges. Second, the legislative package will harm Michigan’s poorest children by reducing the requirement for bail in cases of willful non-payment of child support by dads in arrears. Willful non-payment of child support means that the dead-beat dad has the money to pay child support but refuses to pay. Michigan takes non-payment of child support seriously, and when the problem gets chronic and large enough, prosecutors have the ability to charge as a felony. While unusual around the country, when a dead-beat dad is on a surety bail bond and flees in Michigan, the bail agent will return that defendant. Under the new socialist bail system, such felons will no longer be required to post bail in order to enforce and guarantee payment, and can then flee and not worry about being caught. Instead, they may be given by a “get out of jail free” pass, while their children continue to be deprived of clothes, food, medicine and other expenses that dead-beat dads willfully refuse to pay. Third, the new system will remove judicial discretion to set a bail schedule. For the ordinary person who is charged with a crime, that means everyone in Michigan will have to wait to see a judge before getting out of jail. While schedules are not widely used in Michigan, this will hit rural areas hard who don’t have the funds to hold court 24 hours a day. No longer will Little Johnny sandwich stealer have to answer to mom when she bails him out at the police station…Little Johnny is guaranteed a trip to the county jail. Do not pass Go. Fourth, low-level misdemeanors will almost never have to post bail regardless of how many times they commit the same crime. This inevitable revolving door of property crime that will occur when then these reforms are implemented has been proven. In Alaska, legislation was run to roll back bail reform after cabins, trucks, and barns were repeatedly broken into by repeat property offenders. In California, roving bands of property criminals break into businesses and homes, and the state, because they don’t take repeat property crimes seriously, release them before the ink dries on the police report. Finally, this system will ultimately backfire in the other direction like Maryland and New Jersey. There is a simple concept we are seeing in other states—when judges do not have the discretion to set bail, they try to keep more people in jail. This is what we saw in Maryland—a 22% increase in the pretrial jail population in Baltimore when judges were forced in the corner and not able to use the tool of secured bond. While we expect the opposite result in Michigan, that the socialistic legislation would result in repeat criminals gone wild, there is a possibility that prosecutors and judges will eventually say enough is enough and start locking up more defendants. In New Jersey, there is little now to balance the accountable release of defendants––you’re either released on a promise or locked up till the disposition of your case. The result is over 18% of defendants are being detained without bail in New Jersey––over 12,000 defendants in the first 18 months of the new law. Related: Reforms intended to end excessive cash bail in Md are keeping more in jail longer, report says. Michigan’s current system is balanced and relies heavily on judges to do their job. There is no problem to solve other than the pandering to socialist classist rhetoric attempting to tug at the heart strings of citizens and turn criminals into the victims. MI House Bill 6460 – Traffic control; driver license; reference to surrendering license as condition of pretrial release; remove to reflect changes in code of criminal procedure. MI House Bill 6461 – Criminal procedure; bail; interim bail bonds for misdemeanors; eliminate. MI House Bill 6462 – Criminal procedure; bail; data on specific number and type of bonds issued; require to be submitted to state court administrative office. MI House Bill 6463 – Criminal procedure; bail; reference to interim bond provision in code of criminal procedure; eliminate, and amend authority for officer to issue appearance ticket. Michigan Watch: Dangerous Bail Reform Package Sponsored by Rep. Julie Calley (R-87) Introduced.